One of the many things that set China apart from the rest of the world is that its people celebrate the New Year on a different date. While we and other countries celebrate the New Year on January 1, people from China celebrate the occasion on a different date every year. For 2019, the Chinese New Year, also called Spring Festival, will be celebrated on February 5. The reason for this is that China still follows the lunar calendar in the schedule of its traditional holidays even though it has officially moved to the Gregorian calendar like the rest of the world. The Chinese New Year is a holiday that has become so popular that even people from other Asian countries also celebrate it. The celebration features colorful fireworks, traditional dishes, and colorful parades. People would wear red clothes to attract wealth and prosperity as well as drive away evil spirits and negative energy. Parents would give their kids red envelopes containing money to attract wealth. The holiday has no permanent date. 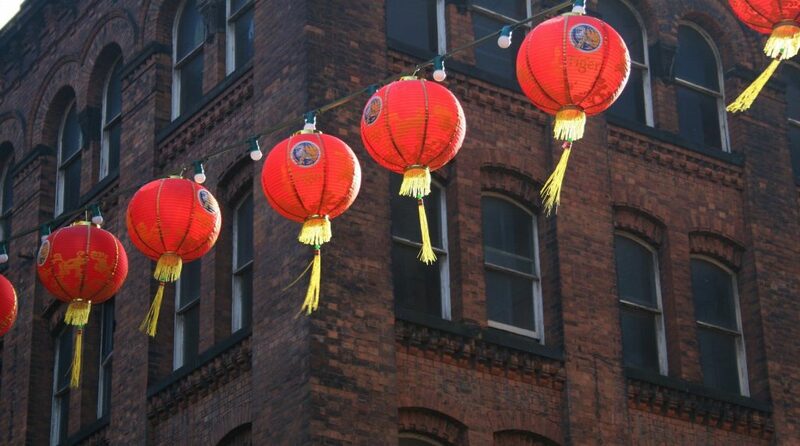 Unlike New Year celebrations in many parts of the world, the Chinese New Year does not have a fixed day. It can fall in dates ranging from the 21st of January until the 20th of February. Each year is represented by a different animal zodiac. As with horoscopes, the Chinese believe in 12 different animals that bring good luck for every year. These zodiacs are assigned to us depending on the year of our birth, with each of the zodiacs possessing different qualities. Know your Chinese zodiac sign here. For 2019, the Chinese will be welcoming the Year of the Pig, which believers say is a year of good fortune for many people. More than 2 billion people across the world celebrate the event. The Chinese aren’t the only ones who observe the Spring Festival. Indonesians, Vietnamese, Malaysians, Singaporeans, Filipinos, Taiwanese, and Koreans are among the other nationalities who celebrate the event. The holiday marks the opening of the spring season. The holiday concludes the winter months, with the locals welcoming another year by harvesting crops and then planting new ones. For them, these plants represent new beginnings. No trash disposal, shower, washing clothes at start of New Year. Since the Spring Festival is all about luck for the Chinese people, they follow certain superstitious beliefs. They believe that taking out garbage or cleaning their homes could take away good fortune. Likewise, washing clothes for them could mean washing away good luck. The holiday involves the most extensive use of fireworks. Believe it or not, China produces 90% of the world’s fireworks. While people from other countries use fireworks to celebrate a joyful occasion, the Chinese do it mostly to ward off evil spirits on New Year’s Eve. They believe that such spirits are scared of noise and explosives, which is why they set off fireworks and firecrackers to greet the New Year. The holiday causes the biggest migration in the world. New Year’s Day holds a very significant meaning to the Chinese, with about 200 million Chinese workers traveling long distances from the cities where they work to reunite with their families in rural villages during the start of the New Year. Millions of people from other countries also travel to the Asian country, making it the largest annual human migration in the world. There’s a special wine etiquette intended for the Chinese New Year. In case you’re not aware, alcohol is a huge part of the Chinese culture. Whatever the occasion, locals would always celebrate it with booze, specifically wine. There’s even a set of wine guidelines that people need to follow during the celebration of the Chinese New Year, which basically involves an order of toast, seating, and how to hold the wine glass. The dawning of a new year—whether it’s Chinese New Year or otherwise—is a global occasion for expressing our gratitude for the blessings we received in the year that just passed and for hoping and praying for better times ahead. In this light, we can do more than just hope for better times for the less fortunate people who live among us. We can actually do something easy yet very much doable and meaningful for them. You can donate a vehicle you no longer need to us at Goodwill Car Donations to help uplift the lives of the disabled and other disadvantaged people in your community. We are the online vehicle donation platform for Goodwill nonprofit organizations that have been operating throughout the United States for decades now. We sell at auction all donated vehicles we received and use the proceeds to support the critical programs of these IRS-certified 501(c)3 nonprofits. Their programs provide free job training and placement services, mentoring, career development, and disability benefits support among others. Their beneficiaries include deserving persons with disabilities, out-of-school youth, unemployed veterans, and other individuals who are unable to find jobs for lack of skills and qualifications. Thus, by donating an old car or truck or any other type of vehicle to us, you will enhance the dignity and quality of life of your underprivileged fellow citizens as you help remove barriers to employment, helping them achieve their full potential through learning and the power of work, and strengthening your community in the process. Whenever you’re ready to donate, just contact us. We’ll tow your vehicle away for free, handle all your paperwork, and mail you your tax-deductible sales receipt promptly once your donated vehicle is sold. It’s a win-win proposition for you: You finally get rid of an unwanted car for a meaningful cause and get to enjoy a hefty tax deduction as one of your rewards in return! To know more about Goodwill Car Donations, our donation process, and other important details, feel free to visit our FAQ page. For inquiries, give us a call at our toll-free 24/7 hotline 866-233-8586 or contact us online. You can make your car donation by calling us directly or by filling out our online donation form here. Are you ready to make a car donation? If you do that now, you can expect the disadvantaged residents of your community to receive a windfall of benefits before the start of the Chinese New Year in February 2019. You, too, can expect to receive your own rewards during the early part of the New Year when you donate now. Call us now at 866-233-8586! We can’t wait to transform lives with you!